In today’s Internet-savvy world an increasing number of Latter-day Saints are encountering anti-Mormon material. Since most members don’t have all the answers at their fingertips, LDS-critical claims can be unsettling or create doubt. Some arguments have caused a few members–even active members with strong testimonies–to lose their faith. Backed by extensive research and decades of experience dealing with anti-Mormon allegations, Michael Ash explores how we can be both rational thinkers and devout believers. This second edition of Ash’s widely successful Shaken Faith Syndrome includes more than 50 additional pages of material such as up-to-date highlights from scholarly studies that support the Book of Mormon and Book of Abraham, more discussion on how our brains and emotions handle challenging issues, and a brand new chapter on race issues and the Church. For struggling members, or family and friends of struggling members, this is the “go-to” book for understanding the emotional turmoil that accompanies testimony-damage, and provides answers and resources to assuage the doubts which may impede faith. This book should find its way onto the bookshelves of every Latter-day Saint home. 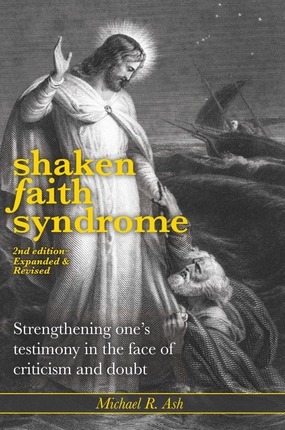 Mike Ash has done a tremendous job with the second edition of Shaken Faith Syndrome. In the first half he addresses many of the common misconceptions and mindsets that can lead to a faith crisis. Ash provides ways to overcome and correct many of these. The remainder of the book is a type of index that provides succinate answers to a number of common perceived historical and doctrinal issues. 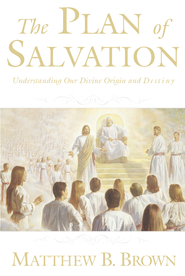 This book is a fantastic resource and should find its way onto the bookshelves of every Latter-day Saint home. Great, every Latter-Day Saint must read. A very scholarly and well written book. Anyone who has the time should read this who has been exposed to Anti-Mormon Critics. They are all apologetic who do not profess their own beliefs and only attack others. Best Introduction to LDS Apologetics, Hands Down! Thanks to the spread of anti-Mormonism on the Internet, more and more Latter-day Saints are being introduced to criticisms of the Church of Jesus Christ of Latter-day Saints. The apologetic literature addressing these criticisms is vast and extensive, and stems from decades of research. But this vastness can be overwhelming for the everyday Latter-day Saint who has recently had his/her faith shaken by this or that anti-Mormon criticism. Most simply don't know where to start, and much of it is written by professional scholars in technical language and complex arguments that can be hard to grasp. Too often, the struggling saint just gives up in exasperation in trying to pursue this literature and reconcile his/her faith. Enter Michael R. Ash and his book, now in it's second edition, "Shaken Faith Syndrome." In this volume, Ash competently regurgitates the best LDS scholarship on issues such as the origins of LDS scripture, the First Vision, Joseph Smith's "magical" practices and money digging, plural marriage, race issues, and more. Ash does this in away that is clear, concise, and easy to understand. Anyone, regardless of their prior exposure to these topics (or lack thereof), will be able to follow along with Ash. Ash arranges his book in two parts. The first part focuses on dealing with the doubt and dissonance that many experience when they first encounter anti-Mormon claims. Ash helps the reader take a step back and unpack some of the assumptions which form the foundation of many critical claims against the Church. Ash's simple, and sensitive treatment of these issues is fantastic, and an absolute MUST READ for those who are either (a) themselves struggling with anti-Mormon claims, (b) trying to help others who are struggling with such claims, or (c) simply interested in getting more familiar with LDS apologetics. Ash is laying out the framework that much of LDS apologetics uses, and as such provides a great introduction to the discipline as a whole. In the second part, Ash explores several key criticisms in light of the issues and principles laid out in part one. Once again, this is done in a manner that is both easy to read, and provides an effective introduction to the topics at hand. The fact that these are merely introductions - just primers, if you will, meant to help get you started - should be kept in mind. Ash never acts like any of this is the definitive treatment of that topic, or the last word. For readability, Ash necessarily had to simplify some complex issues, but these chapters will give readers a foundational understanding that will make the more in-depth and technical literature easier to grasp. At the end of each chapter in part two, Ash helpfully provides a list of primary sources that readers can turn to if they wish to explore a topic further. Thus, Ash helps the new and struggling member navigate the extensive scholarship on these issues in a productive way, which should reduce the feeling of being overwhelmed and helpless. This revised edition updates and expands much of the chapters with new and important scholarship, and also adds a new chapter on the Church and race issues. Overall this new edition is about 60 pages longer than the original. I also noticed that several typos from the previous edition were corrected, and the new cover design is a big improvement. Also improved is the typesetting and font style, making the text much softer on eyes, which in turn creates a more enjoyable reading experience. All-in-all, Ash provides the best introduction to LDS apologetics and scholarship available, hands down. I have already personally recommended, and even given, copies of this book to friends and family who I thought would benefit, and I heartily recommend it to anyone, whether they are themselves struggling, know others who are struggling, or are just interested in getting into LDS apologetics and scholarship and yet don't know where to start.